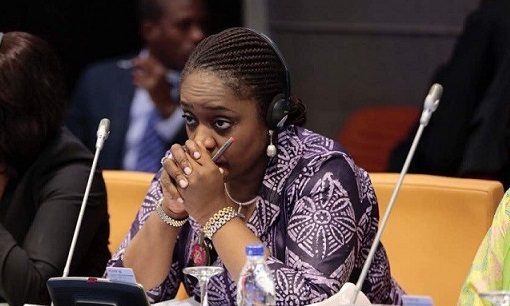 Embattled Minister of Finance, Kemi Adeosun, has resigned her appointment. Ekiti Governor, Ayodele Fayose, has signed the 2018 supplementary budget of N9.9bn into law, berating Governor-elect, Dr Kayode Fayemi and his party(APC) for questioning the importance of the budget. Speaking at the event, Fayose stressed that it was laughable that “Fayemi won’t stop at anything to blackmail him even when he had to go to a ridiculous level, “ adding that he still had things to attend to before leaving office. “It is amusing to hear that Dr Kayode Fayemi said the revised budget being signed today was unnecessary. He (Fayemi) signed his own on September 15, 2014, exactly a month to his leaving office, now I’m signing my own on September 14. They should keep quiet and stop crying wolf, I’m still the governor,” he insisted. A group of Elder Statesmen from the Southern and Middle-Belt regions of the country have condemned President Muhammadu Buhari’s removal of Matthew Seiyefa as the Acting Director-General of the Department of State Services (DSS). “Since 1960,Nigeria has never had a leader more sectional ,narrow,parochial ,and tribalistic like the current President who went on a global stage to divide Nigeria into “97 % and 5%,” they said. The Federal Government has said that the Vice President, Yemi Osinbajo, will on Tuesday preside over the Economic Management Team (EMT) meeting to be dedicated towards resolving the issue of the National Minimum Wage. Minister of Labour, Chris Ngige, who disclosed at the end of meeting with President Muhammadu Buhari alongside the Chairman of the Negotiation Committee, Ms Amma Pepple, after they briefed the President on Friday of the progress so far made by the committee, expressed hope that the new wage will be ready before the end of the month. The Economic and Financial Crimes Commission (EFCC) has promised to investigate the raid on the head office of Standard Chartered Bank in Lagos on Friday, saying the officers involved would be “subjected to internal disciplinary measures”. According to a report by The Cable, Spokesman of the agency, Wilson Uwujaren, who disclosed this in a statement issued hours after the raid, said the operation might have been the handiwork of errant officers who acted without authorization, adding that it is not the style of the EFCC to openly raid the offices of banks and other financial institutions. “The Commission will investigate the circumstances leading to this illegal raid by errant officers and those found culpable would be subjected to the internal disciplinary mechanism of the Commission,” the statement read in part. Four people have died as Hurricane Florence mauls the US East Coast, knocking out power to 600,000 homes and causing buildings to crumble.